Ukraine, Kiev – 2015. During the Euromaidan revolution of 2014/15. 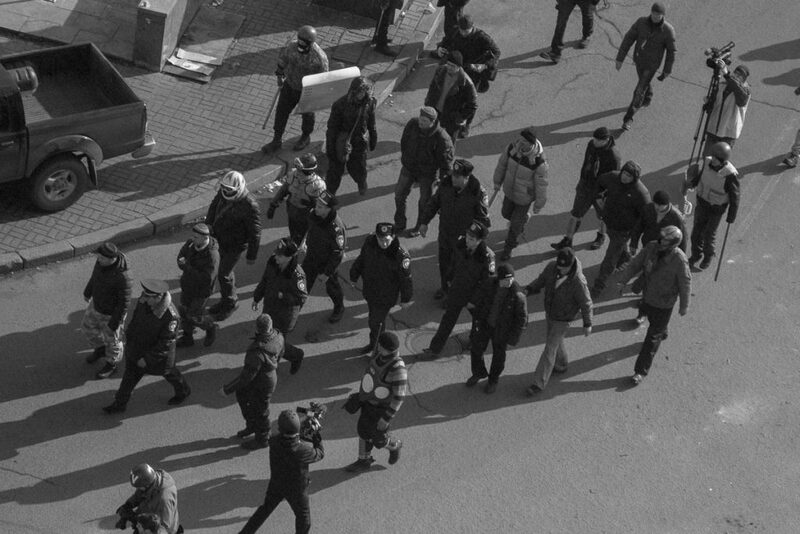 The police are escorted from the square after they were allowed in to negotiate a peace with the pro-European protesters once Yanukovych had fled to Russia.